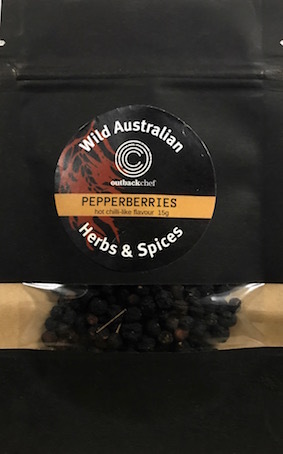 So many times when I've been giving cooking demo's or talking about natives and sending around samples for people to smell and try, I advise not to eat the pepperberries straight out and what happens, of course, there's always someone!...and then I'm treated to the drama of watering eyes and a hand trying to fan out a burning mouth. These little guys are really hot hot hot, it firsts hits on the tip of your tongue which goes numb...good party trick I guess if you're feeling that way with your friends, but saying that, the benefits of having pepperberries in your pantry to create a bit of Australian native bushfood heat are they are great for your health, taste fantastic and go with any dish, what's not to like? 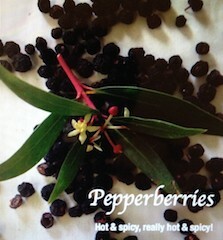 These little pepperberries are hot and spicy, very hot chilli/pepperberry flavour. 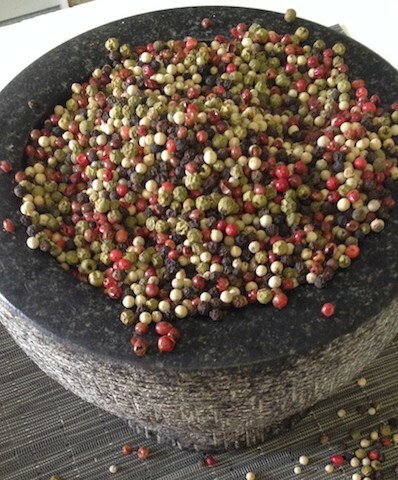 When making a white sauce don't forget to grind in some Pepperberries United to change it from "just a white sauce" to something amazing. 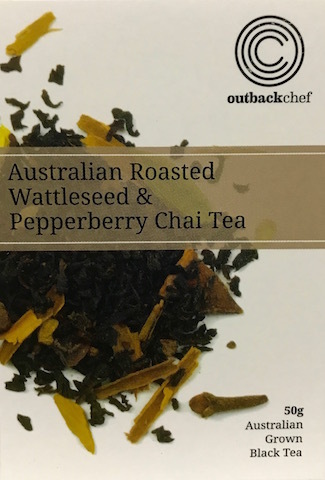 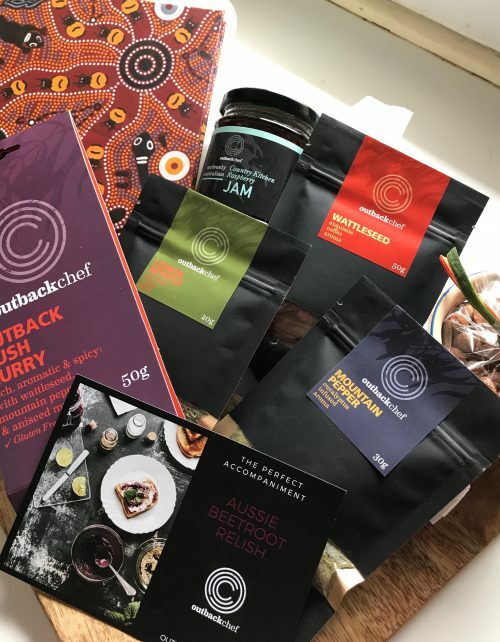 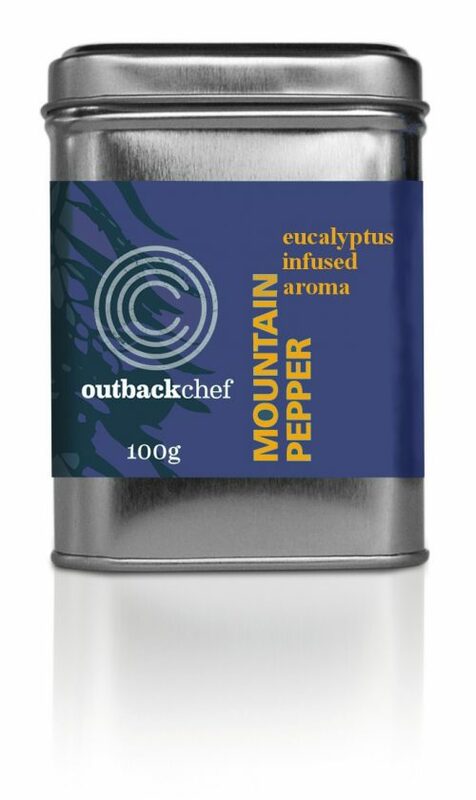 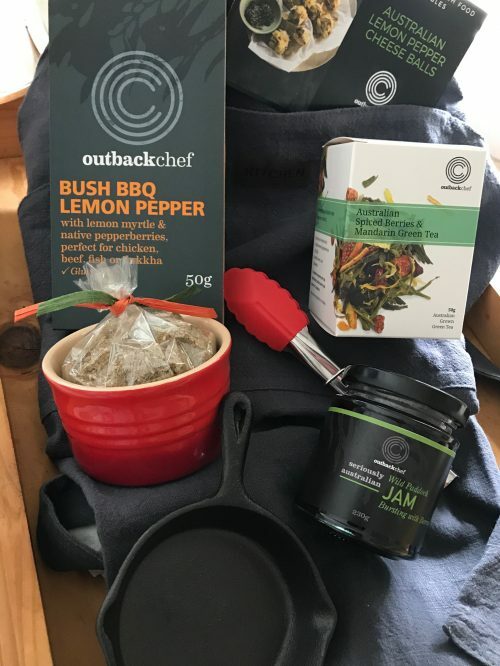 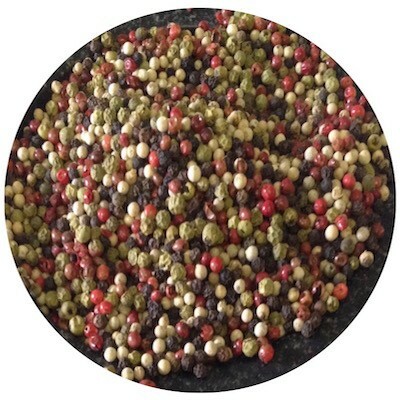 Australian Pepperberries add a flavour punch to your grinder with this peppery combo Tasmanian Pepperberries join forces with Green, Pink, White and Black Peppercorns to create a high-spirited palette of colour and flavour for more lively, aromatic excitement. 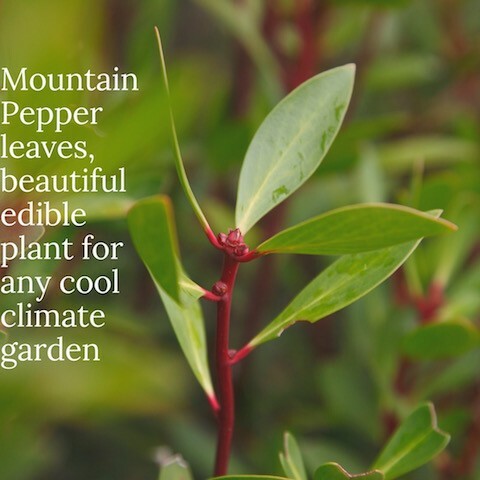 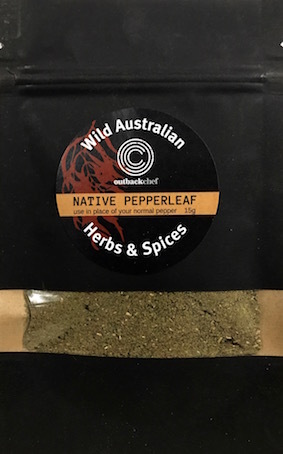 Native Pepperleaf can replace your everyday white pepper. 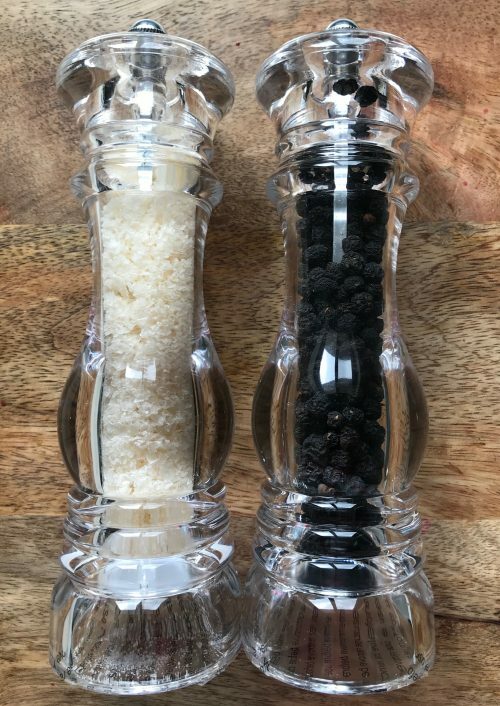 Dried and milled. 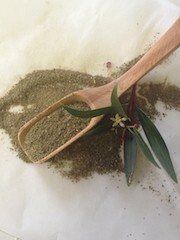 Image shows the dried and milled leaf, plus the fresh leaves.